Mumbai : It was day of deep shame for many known faces of the Hindi music industry when melody Queen Lata Mangeshkar was mimicked by a small-time female comedian at a music award function. 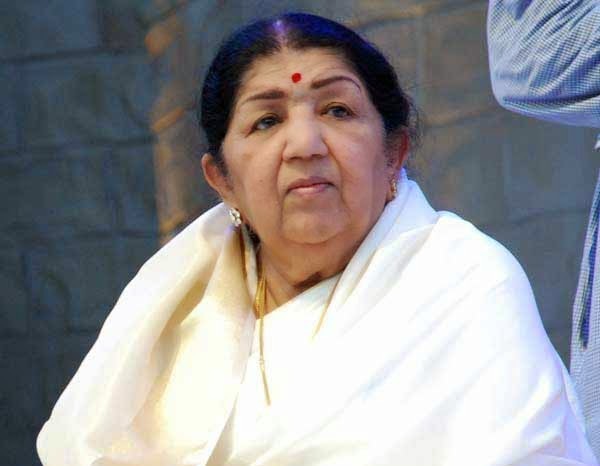 Singers like Alka Yagnik and composer Lalit Pandit said this was no way to treat a recipient of the Bharat Ratna, India's highest civilian award. Sugandha Mishra, a regular on comedy shows, is known for her imitation of the Melody Queen and she did it again at a popular award function a few day back that was telecast on Sunday. She mimicked Lata amongst many stalwarts including Javed Akhtar, Ila Arun, Usha Uthup and Shankar Mahadevan. However, it was Yagnik who looked disturbed and shocked with the act. When this writer contacted her, she sounded genuinely distressed at her idol being so ridiculed. "I didn't like it. It was not in good taste. And it went on and on. This is what the music industry has come to, disrespecting their very own Bharat Ratna. Lataji is a Goddess. Kam-se-kam unko toh baksh dena ttha(spare her at least!). Shame on them," she said. Adds Pandit: "The whole music fraternity and the film industry loves Lataji to death. I was surprised by the act when it was on. I didn't expect this and I frankly feel it was overdone...Lata Didi is a Bharat Ratna and nothing about her should be used for laughter." While Lataji refused to comment on the matter saying it's a free country and everyone is entitled to entertain oneself and others in the way they feel, a source very close to Lataji said: "They wanted to invite her to honour her. When she couldn't attend they decided to make fun of her. This is their way of honouring our most revered and adored singer."